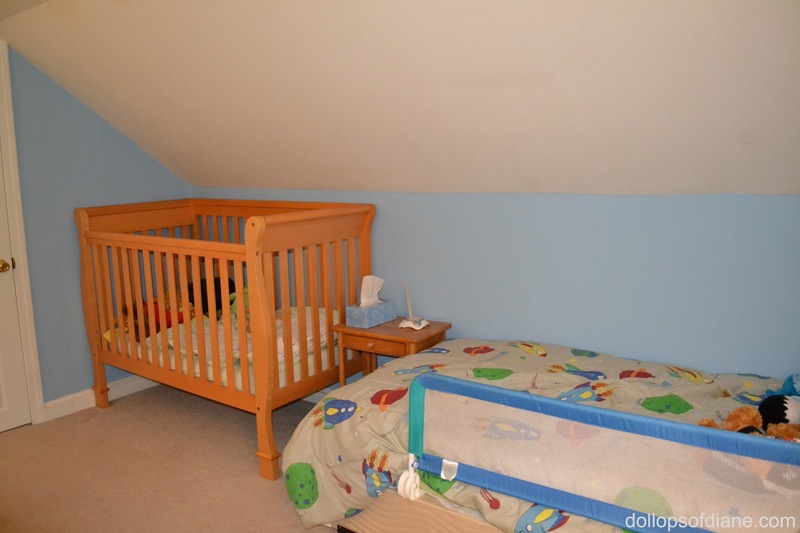 Dollops of Diane: A New Room for the Boys! 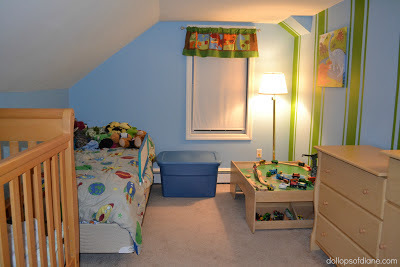 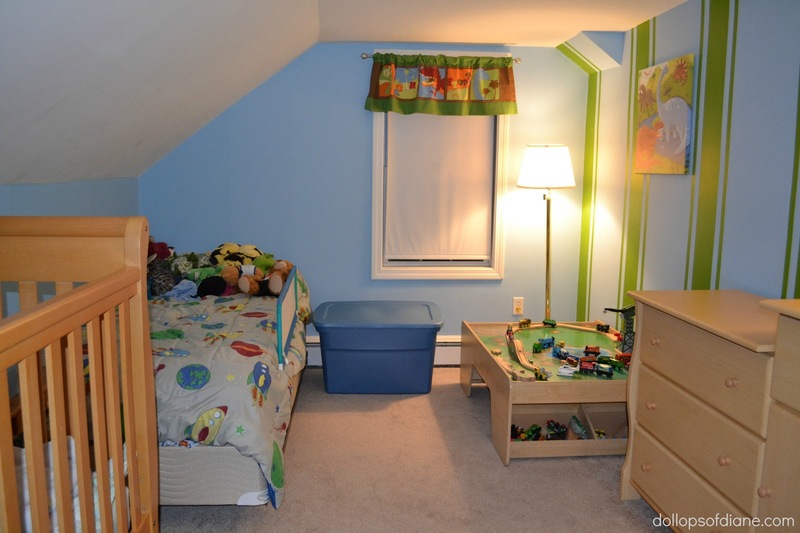 Not to be overshadowed by Isabelle's super, awesome new room - the boys are loving their new room as well! 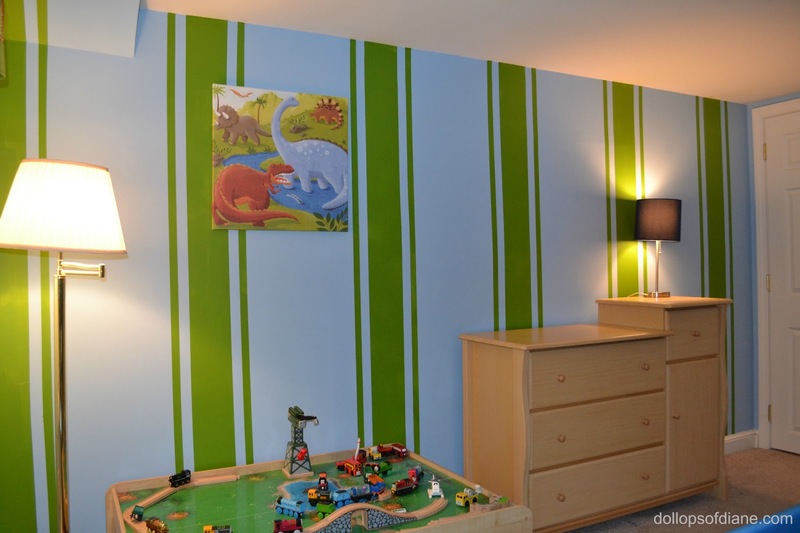 Apparently, Tim can do stripes as well as rainbow murals!